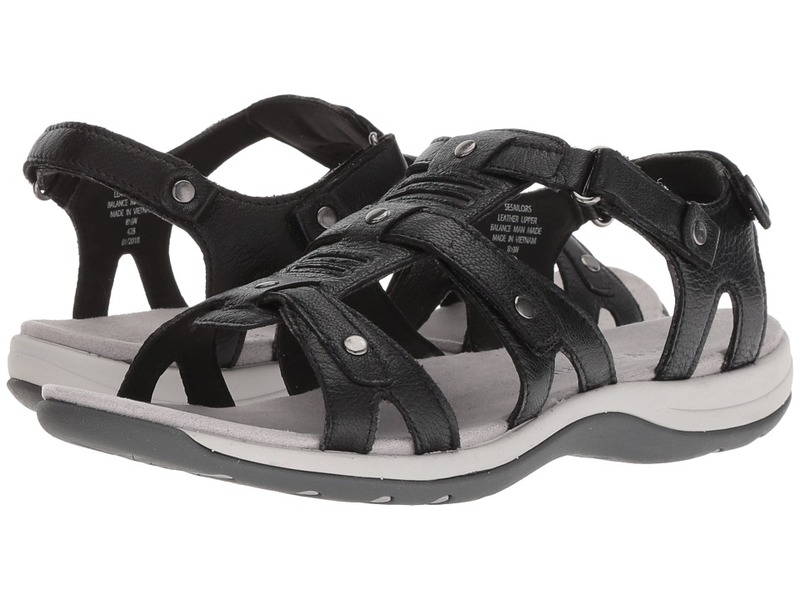 The Noise 3 sandal by Easy Spirit is sure to become a summer staple in your wardrobe! Upper is constructed of a combination of synthetic and textile materials. Adjustable hook-and-loop straps secures foot in place. Additional padding at collar prevents chafing and discomfort. 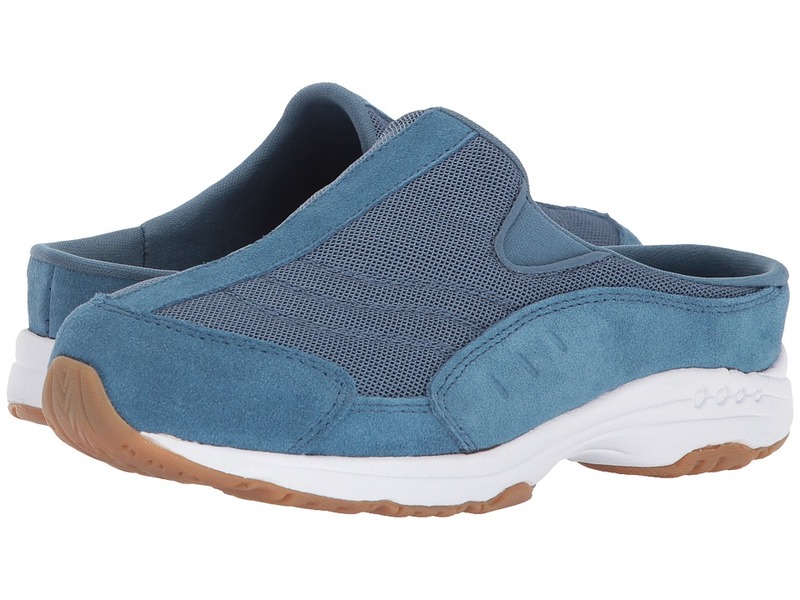 Supple microsuede lining keeps feet cool and comfortable. Cushioned beads within the footbed massage feet as you walk. Durable EVA midsole ensure ample shock-absorption and support. Lightweight rubber outsole construction. Imported. Measurements: Heel Height: 1 1 2 in Weight: 7 oz Platform Height: 3 4 in Product measurements were taken using size 7.5, width W (D). Please note that measurements may vary by size. Weight of footwear is based on a single item, not a pair. 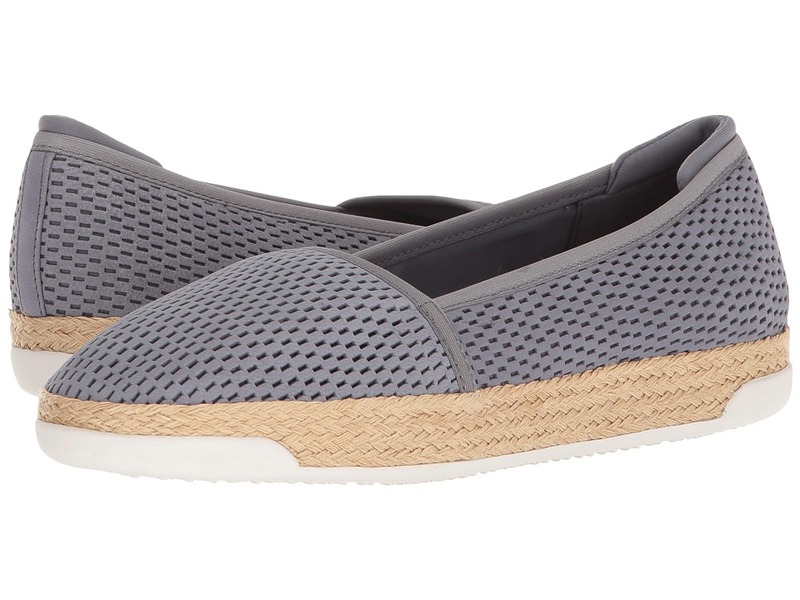 The Easy Spirit Portnia slip-on will keep you comfortable and cool without compromising style! 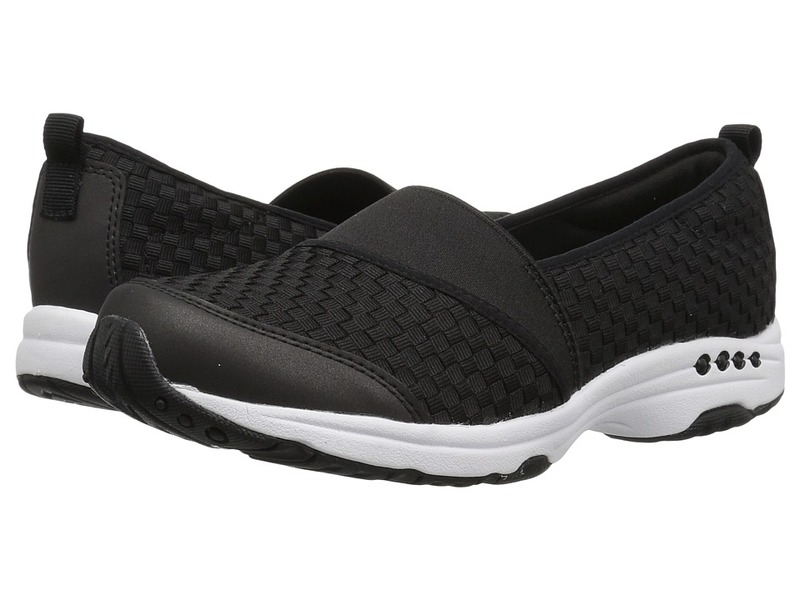 Perforated synthetic upper promotes a cool and breathable design. Collar is lightly padded for extra comfort. Easy slip-on design. 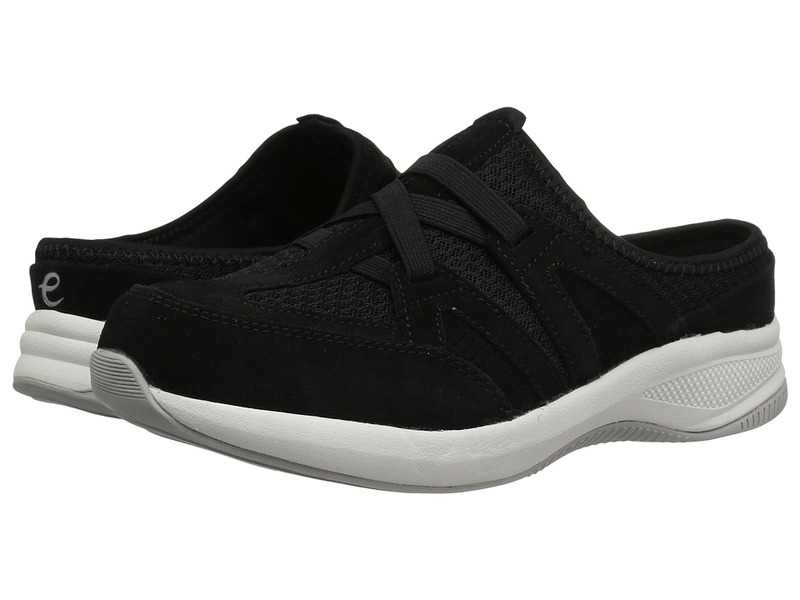 Padded insole provides seamless arch support for extra stability. Woven-jute design decorates the midsole. Durable rubber outsole ensures traction and flexible range of motion. Imported. Measurements: Weight: 8 oz Product measurements were taken using size 8.5, width M (B). Please note that measurements may vary by size. Weight of footwear is based on a single item, not a pair. 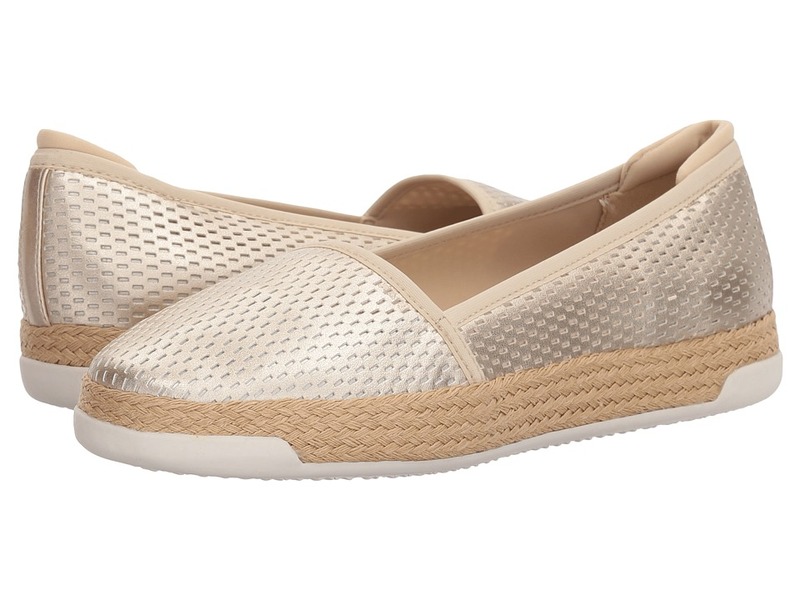 Strut with endless comfort and style with Portnia 3 flat by Easy Spirit! Upper is constructed soft synthetic materials. Perforated pattern adorns the entire shoe for a breathable design. Collar is lightly padded to ensure comfort. Slip-on design. Padded insole includes arch support for added stability and comfort. Midsole is decorated with a woven-jute design. Rubber outsole promotes extra traction and durability. Imported. Measurements: Heel Height: 1 in Weight: 7 oz Product measurements were taken using size 7.5, width W (D). Please note that measurements may vary by size. Weight of footwear is based on a single item, not a pair. Sail off into a sea of comfort and reliability in the Sailors sandal by Easy Spirit! Upper is constructed of genuine leather. Open-toe styling. Adjustable hook-and-loop straps secure foot in place. Buttery microsuede lining repels moisture for a breathable wear. Contoured EVA footbed provides ample cushioning and support. Flexible rubber outsole provides excellent rebound and responsiveness with each step. Imported. Measurements: Weight: 7 oz Product measurements were taken using size 9, width W (D). Please note that measurements may vary by size. Weight of footwear is based on a single item, not a pair. Treat yourself to the Easy Spirit Traveltime 15! They~re so comfortable, you~ll wear them everywhere! Durable suede and mesh uppers with a round toe. Easy slip-on clog with dual side goring for an easy on-and-off. Padded, removable insole provides shock absorption and superior cushioning. Durable rubber outsole for added grip and traction. Imported. Measurements: Weight: 7 oz Product measurements were taken using size 8, width N (AA). Please note that measurements may vary by size. Weight of footwear is based on a single item, not a pair. Color your world with the go-anywhere Traveltime 295 Paint Stripe clogs. Leather and printed canvas uppers. Easy slip-on clog with dual side goring for an easy on-and-off. Soft and breathable textile linings. Padded, removable insole provides shock absorption and superior cushioning. Durable rubber outsole for added grip and traction. Imported. Measurements: Heel Height: 1 3 4 in Weight: 7 oz Platform Height: 1 2 in Product measurements were taken using size 8, width M (B). Please note that measurements may vary by size. Weight of footwear is based on a single item, not a pair. Add some comfort to your everyday style with the Easy Spirit Traveltime 303 mule. Durable leather and fabric uppers with a round toe. Easy slip-on design with dual side goring. Soft and breathable mesh linings. Padded, removable insole provides shock absorption and superior cushioning. Durable rubber outsole for added grip and traction. Imported. Measurements: Heel Height: 1 in Weight: 8 oz Platform Height: 3 4 in Product measurements were taken using size 9.5, width WW (EE). Please note that measurements may vary by size. Weight of footwear is based on a single item, not a pair. Treat your feet to a cozy weekend in the Tunein mule from Easy Spirit. Breathable mesh and leather uppers with a round toe. Easy slip-on clog design. Soft and breathable fabric linings. 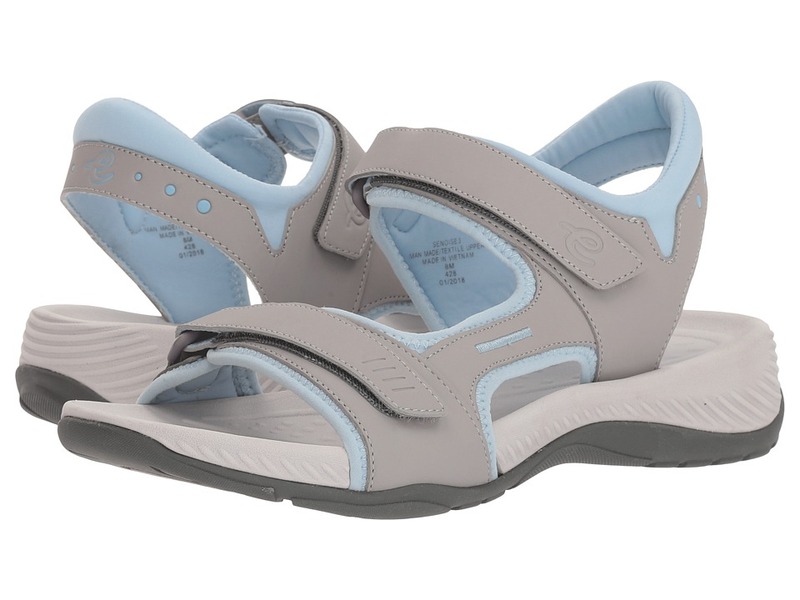 Offers a removable, fully cushioned, and shock-absorbing footbed for all-day comfort. Lightweight and flexible midsole. Durable man-made outsole. Imported. Measurements: Heel Height: 1 1 2 in Weight: 10 oz Platform Height: 3 4 in Product measurements were taken using size 9, width WW (EE). Please note that measurements may vary by size. Weight of footwear is based on a single item, not a pair. 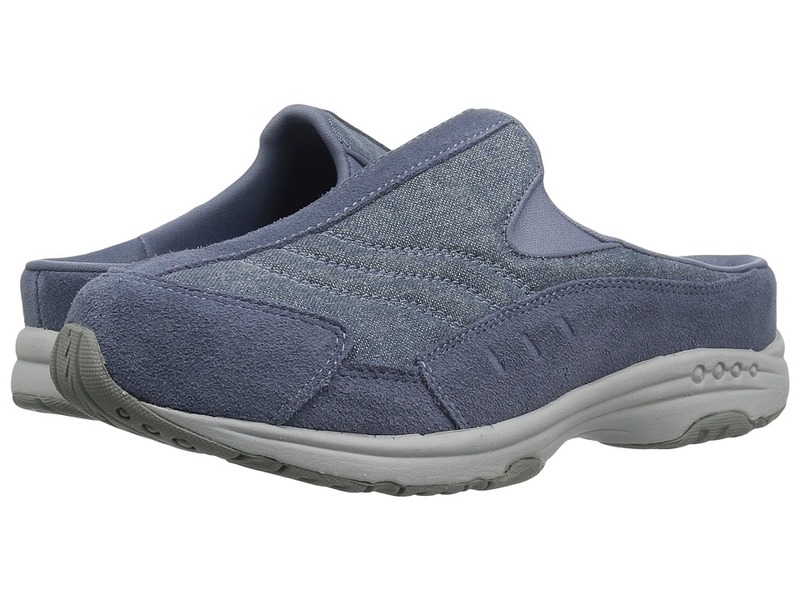 Take on the day in true comfort when you step into the Easy Spirit Twist 8. Woven fabric uppers in a sporty silhouette. Easy slip-on design with a heel tab. Soft and breathable fabric linings. 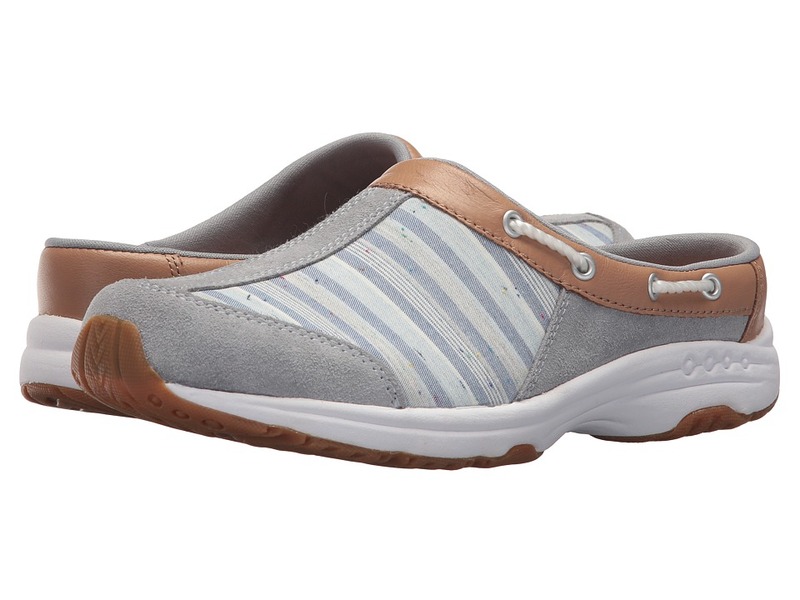 Removable, fully cushioned footbed offers added arch support and perforations for added breathability. Lightweight and shock-absorbing EVA midosle. Durable rubber outsole. Imported. Measurements: Weight: 8 oz Product measurements were taken using size 8.5, width W (D). Please note that measurements may vary by size. Weight of footwear is based on a single item, not a pair. Each one, teach one! Relaxed fit. Elastic waistband ensures a comfortable fit. Slash hand pockets for easy storage options. 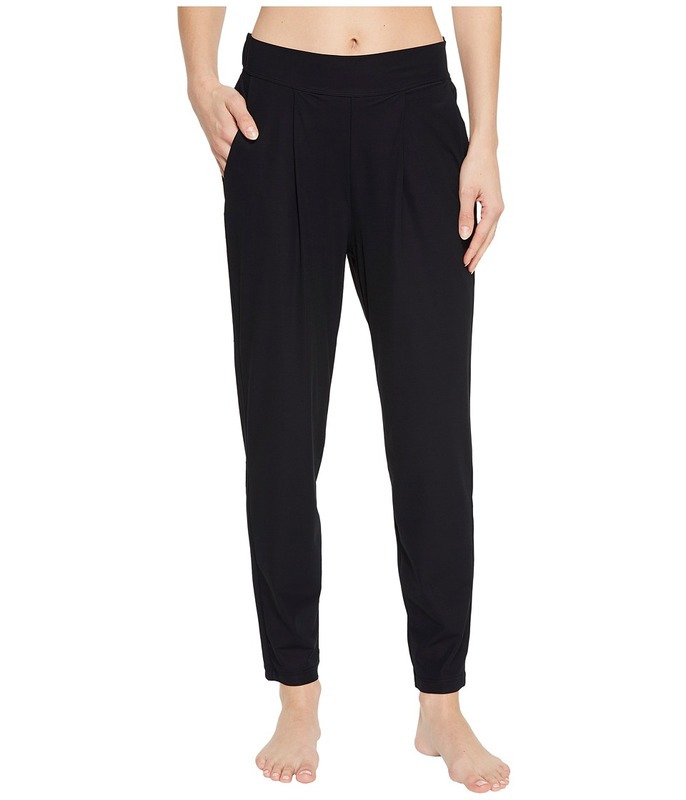 Tapered leg with center seam detail. 73 percent nylon, 27 percent spandex. Machine wash, tumble dry. Imported. Measurements: Waist Measurement: 24 in Outseam: 37 in Inseam: 27 in Front Rise: 12 in Back Rise: 17 in Leg Opening: 10 in Product measurements were taken using size SM, inseam 27. Please note that measurements may vary by size. The Travelport 22 clog makes the trip oh-so-comfy. Textile and suede uppers with leather trim. Easy slip-on style clog. Stylish rope detail at collar. Padded, removable insole absorbs shock and offers superior cushioning. Durable rubber outsole for added grip and traction. Imported. Measurements: Weight: 7 oz Product measurements were taken using size 10, width N (AA). Please note that measurements may vary by size. Weight of footwear is based on a single item, not a pair. 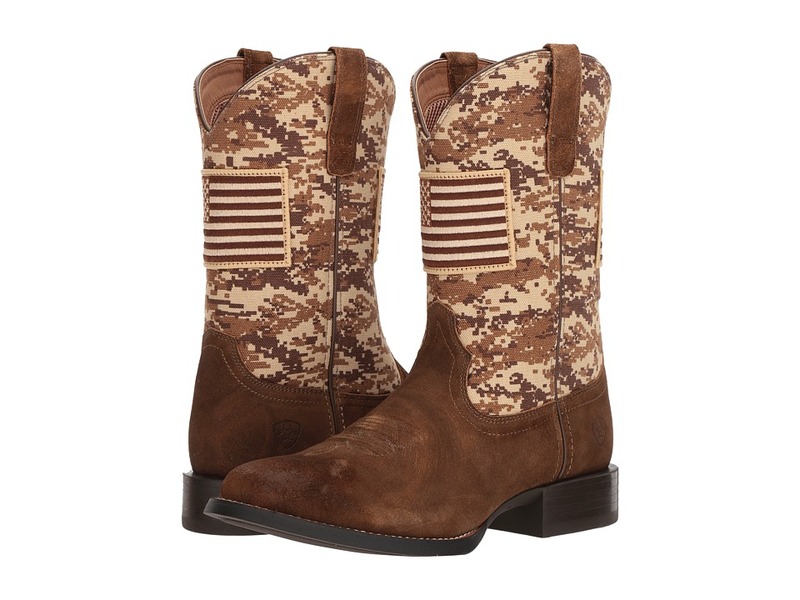 The Ariat Sport Patriot Round Toe boot shows off both your American spirit and style! Upper made of camo-printed textile shaft and distressed leather foot. Features stitched American Flag patch on front and back of shaft. Pull-on construction with pull-loops for easy entry. Synthetic air mesh lining. Features 4LR technology that provides support and cushioning with a four-layer footbed and lightweight stabilizing shank for support. Round toe design. Highly flexible Duratread outsole provides long lasting comfort. Imported. Measurements: Weight: 1 lb 10 oz Circumference: 14 in Shaft: 11 1 4 in Product measurements were taken using size 11, width D - Medium. Please note that measurements may vary by size. Weight of footwear is based on a single item, not a pair. 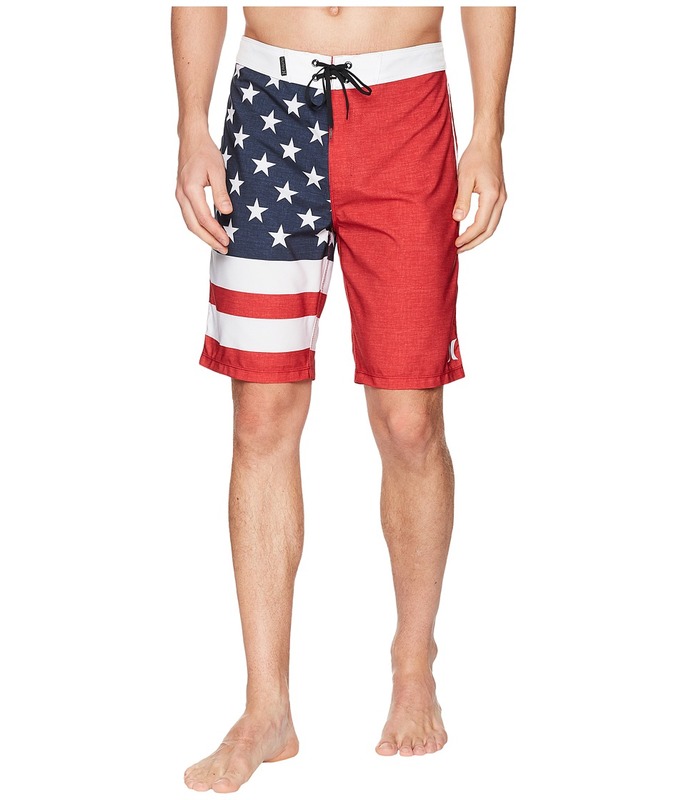 Let American spirit flow through you when you wear the Hurley Phantom Cheers 20 Boardshorts. Regular fit is a casual, relaxed fit with comfortable range of motion. Recycled Phantom fabric provides 30 percent stretch. Fixed waist with surf-tie closure. EZ-fly closure for easy on-off. Rear flap pocket with hook-and-loop closure and drainage eyelets. Straight hem hits above knee. 92 percent recycled polyester, 8 percent spandex. Machine wash, line dry. Imported. Measurements: Waist Measurement: 32 in Outseam: 21 in Inseam: 9 in Front Rise: 12 in Back Rise: 14 in Leg Opening: 10 in Product measurements were taken using size 32. Please note that measurements may vary by size. If you~re not fully satisfied with your purchase, you are welcome to return any unworn and unwashed items with tags intact and original packaging included. 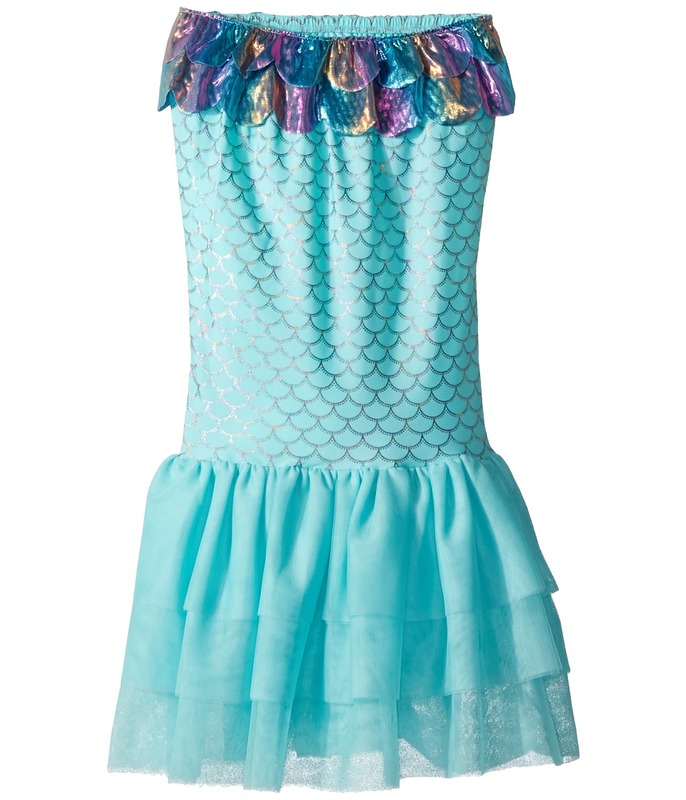 Fuel her whimsical spirit by giving her magical powers with this sparkly Mud Pie Mermaid Swimming Tail. Lightweight layering piece allows easy on-and-off with slip-on styling. Foiled-scalloped print with complementing tiered ruffle trim. Stretchy waistband with double-layered trim. Mesh bottom fin hem detail. Body: 85 percent polyester, 15 percent spandex Materials: 100 percent polyester. Hand wash, dry flat. Imported. Measurements: Waist Measurement: 20 1 2 in Product measurements were taken using size 5T and Up. Please note that measurements may vary by size. If you~re not fully satisfied with your purchase, you are welcome to return any unworn and unwashed items with tags intact and original packaging included. 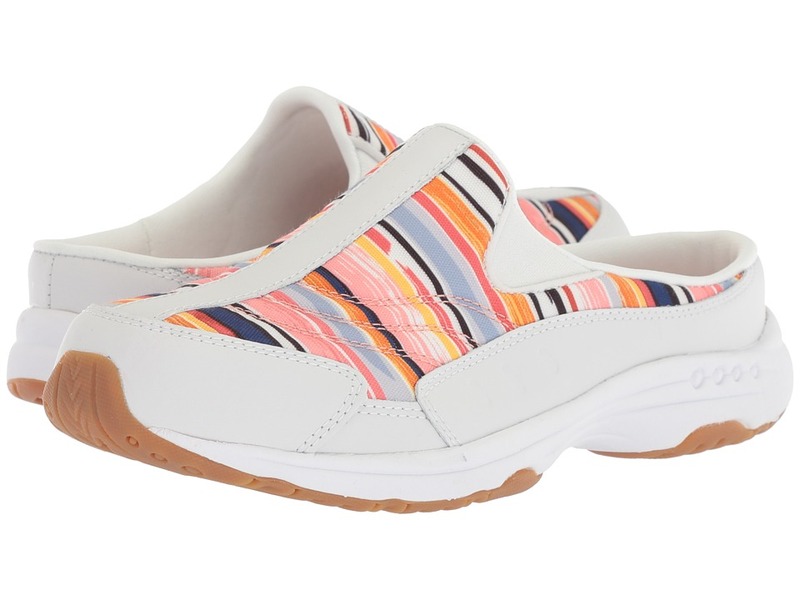 Channel your whimsical spirit with these fresh Nanette nanette lepore Whitney sneakers! Leather upper featuring laser cut detail and floral motifs. Easy slip-on. Rounded toe. Soft fabric lining for additional comfort. Lightly padded, fixed insole. Flexible rubber sole. Imported. Measurements: Weight: 10 oz Product measurements were taken using size 8.5, width M. Please note that measurements may vary by size. Weight of footwear is based on a single item, not a pair. 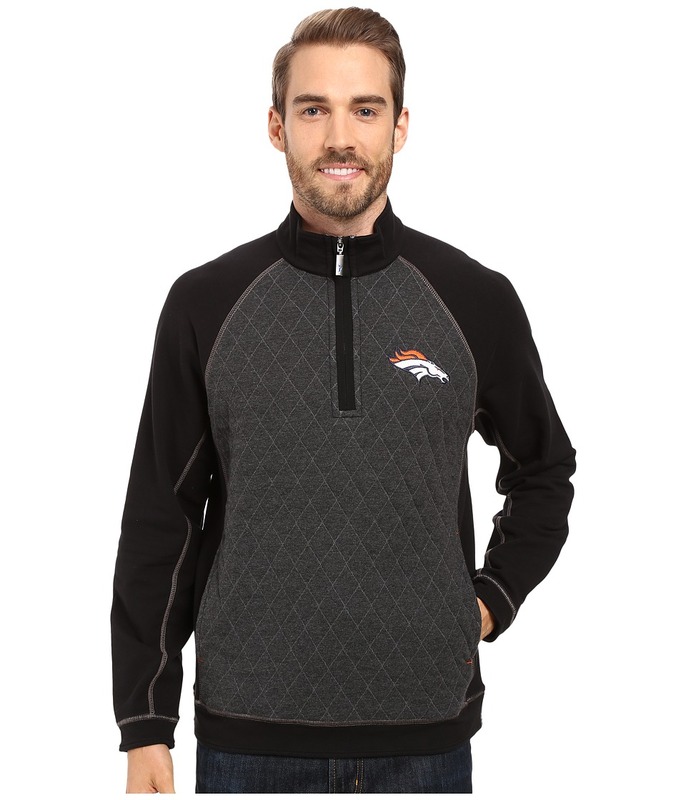 Show your team spirit in the coldest of days in this Tommy Bahama NFL Pullover when your team comes face to face with their rivalry on the gridiron. French-terry sweater sports a color-blocked diamond quilt at the front for a more streamlined look. Lightweight for easy layering throughout the season. Mock collar with a Marlin embroidery at nape. Long raglan sleeves with cuffs. Half-length zip placket front. NFL team logo embroidered at left chest. On-seam hand pockets at sides. Flatlock seams throughout. Straight hem with a banded trim. Pullover design. 98 percent cotton, 2 percent spandex Front Quilt: 80 percent cotton, 20 percent polyester Machine wash, hang dry. Imported. Measurements: Length: 29 in Product measurements were taken using size MD. Please note that measurements may vary by size. 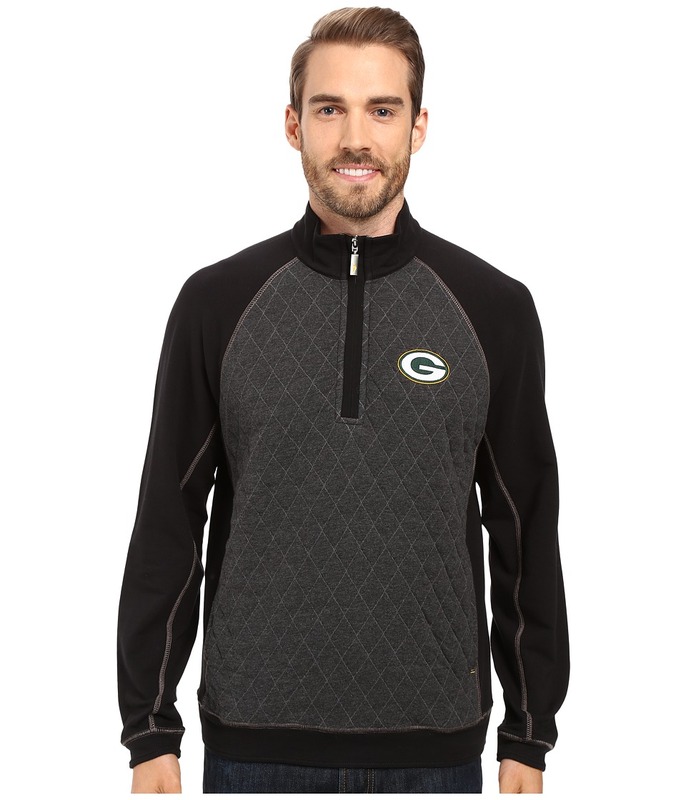 Show your team spirit in the coldest of days in this Tommy Bahama NFL Pullover when your team comes face to face with their rivalry on the gridiron. French-terry sweater sports a color-blocked diamond quilt at the front for a more streamlined look. Lightweight for easy layering throughout the season. Mock collar with a Marlin embroidery at nape. Long raglan sleeves with cuffs. Half-length zip placket front. NFL team logo embroidered at left chest. On-seam hand pockets at sides. Flatlock seams throughout. Straight hem with a banded trim. Pullover design. 98 percent cotton, 2 percent spandex Front Quilt: 80 percent cotton, 20 percent polyester Machine wash, hang dry. Imported. Rock your western spirit in the leather VOLATILE Davila fringed boots. Leather upper with metallic buckles. Easy pull-on design has straddled loops on either side of boot. Pointed toe. Man-made lining and footbed. Synthetic outsole. Stacked block heel. Imported. Measurements: Heel Height: 1 3 4 in Weight: 1 lb 5 oz Circumference: 14 in Shaft: 12 in Product measurements were taken using size 8.5, width M. Please note that measurements may vary by size. Weight of footwear is based on a single item, not a pair.